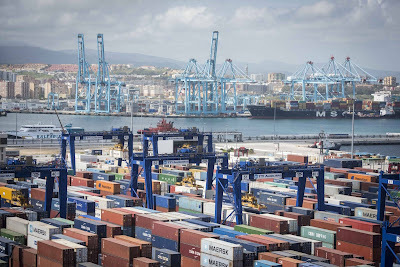 The Spanish Civil Guard has arrested 21, including 10 dock workers employed at the port of Algeciras (Cádiz), for participating in a massive drug-trafficking scheme. Huge amounts of cocaine and other drugs were smuggled via shipping containers, then delivered to traffickers across Europe. 20 kilometers from Gibraltar, Algeciras has become one of the main entry points for drugs into the rest of Europe. 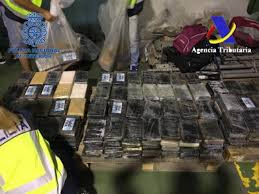 Among the five million containers that arrive every year at the port, thousands of kilos of cocaine, mostly from Colombia, are camouflaged between bananas, frozen fish, or simply stuffed into backpacks. The arrested ring members charged about $1500 for every kilo that is 'rescued' and normally collected between 100 and 300 kilos. 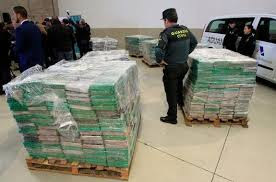 Its services included taking the drugs out of the port facilities and depositing them in a safe place, either in Algeciras or in a different city. 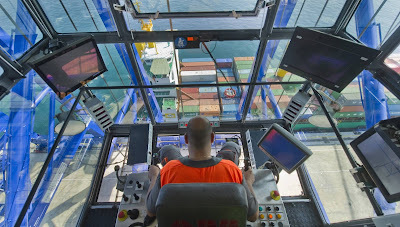 There are more than 1,800 dock workers with long-term contracts and 483 temporary ones working at the port.